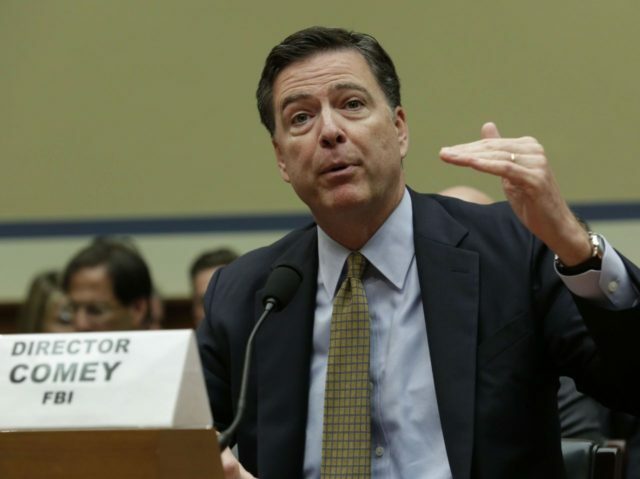 FBI director James Comey admitted to the House Oversight Committee on Thursday that he had not checked whether former Secretary of State Hillary Clinton had lied to the FBI the same way that she lied to Congress and the public about her emails. “I haven’t gone through that to parse that,” Comey told Rep. Mark Meadows (R-NC), when asked whether Clinton had corrected her earlier, false public statements in her private interview last Saturday with the FBI. Comey said on Tuesday that Clinton had not turned over all of her work emails, that her lawyers had not read them individually, and that she had sent classified materials as well as emails with classified markings. Clinton said the opposite, under oath, to the House Select Committee on Benghazi last October, and several times in public statements as well. Lying to the FBI is a felony, and it was one of the reasons Comey gave for the prosecution of former General David Petraeus for mis-handling classified information. Comey did not interview Clinton personally, and did not say what questions FBI agents had asked her about her email server. Earlier in the hearing, committee chair Rep. Jason Chaffetz (R-UT) told Comey that Congress would be referring Clinton to the FBI for investigation for perjury, based on her proven false statements in October.